Motor Vehicle Accidents are one of the leading causes of personal injury claims in the province. Due to the sheer volume of vehicles on the road, car accidents are a common occurrence. Unfortunately, there are a great number of people that sustain serious injuries as a result of these accidents. The province of Ontario has a system of Accident Benefits that was designed in order for injured motorists and their passengers to get the medical treatment and compensation that they need. However, the system is always evolving and becoming more and more complex with each iteration. Accident benefits allow for injury victims to receive medical treatment, recover lost wages, and receive attendant care as well as other benefits with the maximum entitlements depending on various factors. Accident victims, who have been found not at fault for the crash, are entitled to file what is called a Tort Claim as well. 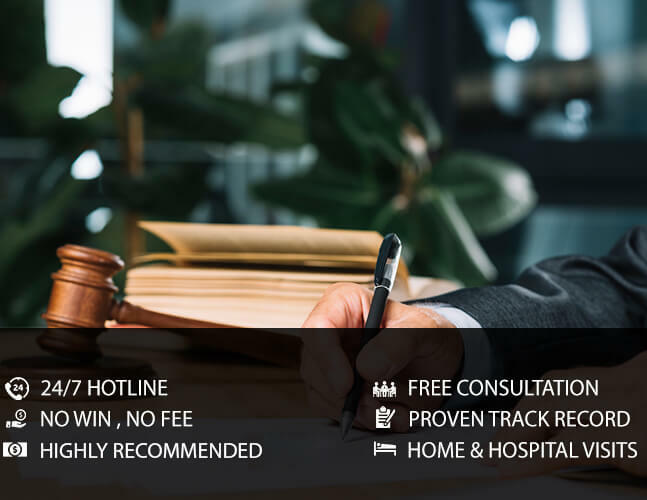 A tort claim allows the victim to sue the at-fault driver and their insurance company in order to receive compensation for pain and suffering, lost income, ongoing and future medical bills, out of pocket expenses and other applicable compensation. Representatives of the insurance company are known for limiting a victim’s entitlements to certain benefits and in some cases even denying access altogether. Insurance companies have their own medical professionals who will usually disagree with your own family doctor’s findings, all in order to ensure that the payouts remain at a minimum. If you were involved in a motor vehicle accident, you are entitled to receive compensation regardless of who was at fault. Contact EBIL Personal Injury Lawyer for a free, no obligation consultation and we will ensure that you know what your rights and entitlements are, what we can do for you as a firm as well as provide you with valuable information and advice. Call us today and protect your rights.